New York Rep. Chris Collins, who has been charged with insider trading and lying to the feds, said he was innocent on Wednesday. Michael George reports. 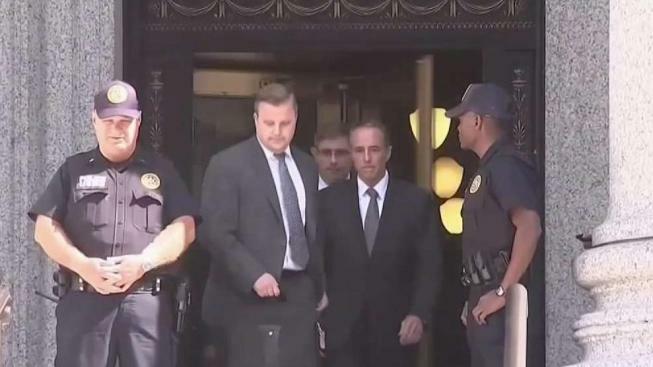 The FBI has arrested New York Rep. Chris Collins on securities fraud-related charges, law enforcement officials said. Collins, a Republican who hails from western New York, his son and his son's future father-in-law have all been charged with insider trading, U.S. Attorney Geoffrey Berman said. The congressman surrendered to the FBI at 26 Federal Plaza Wednesday morning, officials said. He pleaded not guilty at an appearance in Manhattan federal court Wednesday afternoon and will be released on $500,000 bond. He will also be forced to surrender his diplomatic passport and any firearms he owns within 14 days. 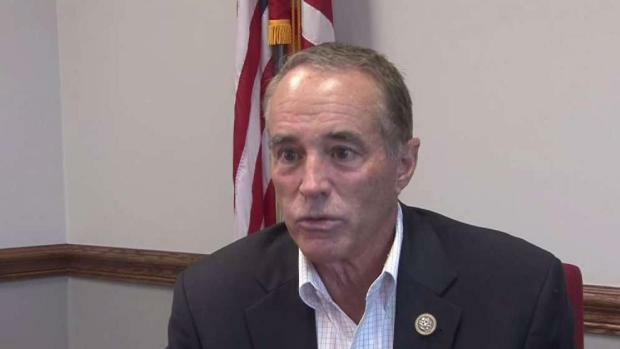 The FBI has arrested New York Rep. Chris Collins on securities fraud-related charges. Collins was one of the first members of Congress to endorse President Donald Trump during his presidential campaign. Last fall, the Office of Congressional Ethics released a report that said the congressman may have violated House rules when he bought discounted stock that wasn’t available to the public and was offered to him based on his status as a politician. The report also found that Collins, a board member of Australia-based Innate Immunotherapeutics, may have shared nonpublic information about the company, another possible violation. Innate had been in the process of developing a drug to treat multiple sclerosis in 2017, according to the indictment. When the product failed drug trials in June 2017, however, the public results sent Innate stock prices plummeting by 92 percent. Collins — one of Innate's largest stockholders — had access to information about the company and its research that wasn't available to the public, the indictment alleges. When Collins found out about the trial results, he allegedly told his son Cameron Collins, also an Innate stockholder, who told his then-girlfriend’s father Stephen Zarsky, as well as several other stockholders. An upstate Republican congressman was arrested by the FBI on insider trading charges. Christopher Collins was one of the first members of Congress to endorse Donald Trump and ironically, investigators said some of his crimes came as he stood on his White House lawn. Jonathan Dienst reports. Cameron Collins, Zarsky, and the stockholders Collins told subsequently sold their Innate stock before prices plunged, narrowly avoiding hundreds of thousands of dollars in losses, the indictment says. The congressman, his son and Zarsky have all been charged with conspiracy, securities fraud, wire fraud and making false statements to the FBI, the Manhattan U.S. Attorney's office said. The Securities and Exchange Commission has filed its own civil action against the three men. "Representative Collins, who, by virtue of his office, helps write the laws of this country, acted as if the law did not apply to him," Berman said. "These charges are a reminder that this is a nation of laws, and everyone stands equal before the bar of justice." Hours after he was released on bail, Collins spoke to reporters in Buffalo, professing his innocence and saying he would remain on the ballot for re-election this fall. "I believe I acted properly and within the law at all times," he said. "I will mount a vigorous defense in court to clear my name. I look forward to being fully vindicated and exonerated." The congressman's attorneys Jonathan Barr and Jonathan New, of BakerHostetler, also said Wednesday they would "answer the charges filed against [Collins] in court and... mount a vigorous defense to clear his good name." "It is notable that even the government does not allege that Congressman Collins traded a single share of Innate Therapeutics stock," they said in a statement. "We are confident he will be completely vindicated and exonerated." House Speaker Paul Ryan said in a statement the congressman would no longer serve on the House Energy and Commerce Committee, pending the ultimate outcome of the indictment. "While his guilt or innocence is a question for the courts to settle, the allegations against Rep. Collins demand a prompt and thorough investigation by the House Ethics Committee," he said. "Insider trading is a clear violation of the public trust." House Democratic leader Nancy Pelosi, meanwhile, said Americans "deserve better than the GOP's corruption, cronyism and incompetence." 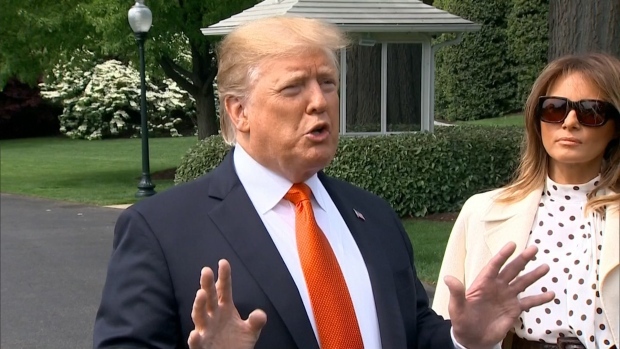 "The charges against Congressman Collins show the rampant culture of corruption and self-enrichment among Republicans in Washington today," she said. "The Ethics Committee must accelerate its own investigation into Congressman Collins' illegal abuse of the public trust." The congressman is expected to appear in court again on Oct. 11.